This entry was posted in Academic achievements, Alumni, Research and tagged auburn, Gates Cambridge Scholarship, graduate, pathology on February 5, 2013 by Wire Eagle. 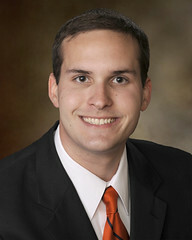 AUBURN UNIVERSITY – Paul Bergen, a 2012 graduate of Auburn University, has been awarded a Gates Cambridge Scholarship, a full-cost award for full-time graduate study and research at the University of Cambridge. Bergen will pursue a Ph.D. in pathology at Cambridge with a focus on how Salmonella infects the host intestinal cell and overcomes the host immune response to cause disease. “It is a tremendous honor to be selected as a Gates Cambridge Scholar,” said Bergen. “I hope my research will eventually improve the lives of those afflicted by this common bacterial pathogen. Auburn had two 2013 finalists among the nearly 1,000 applicants for the scholarship and was one of only four public universities with that distinction. Bergen is one of 40 scholars to receive the award. The scholarship program is funded by Bill and Melinda Gates through the Gates Cambridge Trust. Gates Cambridge Scholarships are awarded to college students and recent graduates based on four criteria: intellectual ability; leadership capacity; a desire to use their knowledge to contribute to society throughout the world by providing service to their communities and applying their talents and knowledge to improve the lives of others; and demonstrating a good fit between the applicants’ abilities and aspirations to the graduate program. For video featuring Paul Bergen go to http://youtu.be/7jUoImATdZ0.